The specialists can arrive anywhere within M25 at a time of your preference. How can you tell if you need to find an electrical contractor? It’s not too hard to notice if your electrical system has gone haywire. Symptoms usually include flickering lights, the burning smell of overheating cables or melting switches, and power outages. You should also keep an eye out for old-fashioned power sockets and switches as these are prone to malfunction. Lastly, you can tell that there is a problem if you notice a green liquid substance around the connections, hear a crackling noise when you press switches, or if a fuse spontaneously blows out. Of course, all of these are just hints that you should call a pro and you should never attempt to repair the damage, however small, on your own. 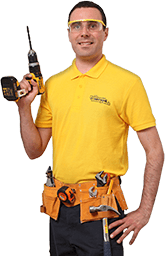 Why book professional electrical services to get the job done? Even if you have the proper tools, you will still need to correctly identify the issue that short-circuited your appliance or caused a sudden blackout. The electricians have been performing fault finding in electrical circuits for years and can easily tell what went wrong at a quick glance. Carrying electrical reliable equipment, such as wire cutters & soldering iron, the experts will be ready to act as soon as you invite them in. They can also arrive for a same-day service and always do the job in line with all BS 7671 wiring regulations. We analyse the issue that our client has reported. We then evaluate the damage it has caused and determine why it popped up in the first place. We get down to the root of the trouble. Bad wiring, a melted switch – whatever the case, we will troubleshoot the whole circuit and pinpoint all faults. We diligently document every possible power or other sources that have caused the issue to test out our theory. We eliminate all probabilities one by one until we are left with the most plausible explanation of why your property sustained damage. We perform various tests and repairs to confirm that our suspicions are true. If not, then we simply move on to the next item on the list until the problem is solved. Booking an electrical fault finding session is a breeze. Just use our online booking form, say “Hello” on our instant chat, or give us a ring. Next, simply choose any day of the week (we cover workdays, weekends, and bank holidays) and a preferred hour at which you want to sort out the issues. For your peace of mind, each professional that knocks on your door is also covered by an insurance plan of up to 5 million GBP. And whatever the task at hand, they will work hard to make your home safer than ever before for you and the people you love.